The following San Diego Web site links are for your convenience. If you have any questions about San Diego real estate please contact me. Del Mar Thoroughbred Club - Thoroughbred racing from Southern California. 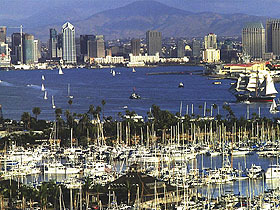 San Diego Live.Net - San Diego Hotels, Lodging, Real Estate, Attractions, Live Web Cam and More!